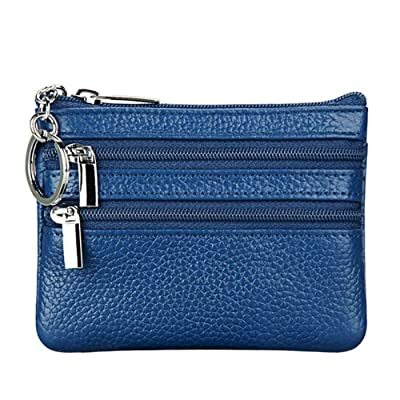 Women we always live with higher demand in sophistication and protection than men, which is why getting an extra coin purse seems to be our most favorite way to keep small stuff securely in place, such as keys, coins, earrings, and elastic hairband. Depend on different purpose of use and preference, there are a lot of sizes, colors, and designs for you to choose from. Along with that, are various price ranges. 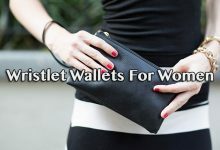 This collection today will offer you 10 best coin purses for women (updating the trendiest models) that I think you should take a look. Bought an Admetus zippered wallet for my fiancé and this smaller one from Lethnic for me. It fits the amount of my coins just right in person, at least my demand of a versatile piece for not only coins, but also keys, cards and cash. I once tested its capacity and find out its hidden giant capacity: 10 coins, 4 cards, and 7 folded bills. Plus, my house key. Compared to its measurements of only 4.53 x 3.55 inches, this is nearly impossible for a zippered wallet. By the way, such that small size is perfect to be a key holder as well, so the manufacturer attached a D-ring to this. You can connect your keys or lanyard to it due to personal preference. 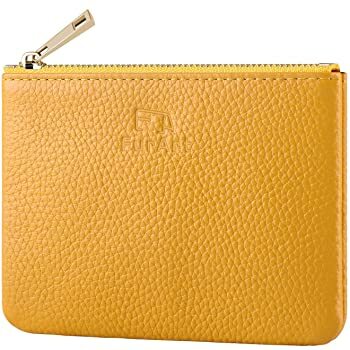 Besides, I consider its price tag is quite reasonable for quality because instead of using faux leather like many other counterparts, the material of this wallet is 100% genuine cowhide leather, and moreover, YKK zipper. 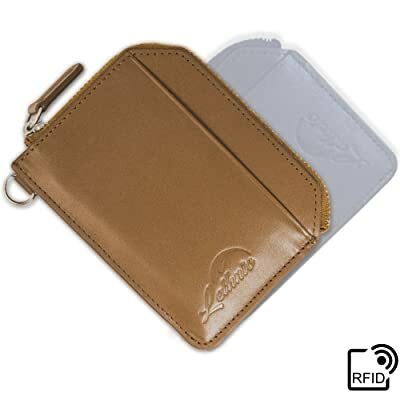 For credit cards or other important cards, feel ease in mind about RFID thieves because of its built-in RFID Blocking Technology. There are a lot, but they are the most outstanding to mention to. Ah, did I tell you about its 30-day warranty yet? 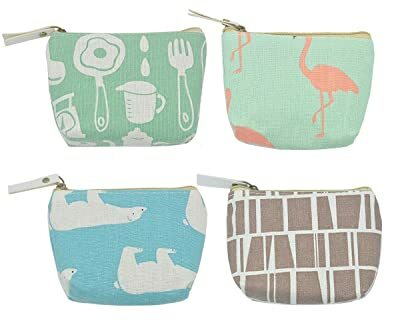 If you’re looking for a coin purse made in USA, here is my recommendation. From that point, at least there is one thing you can ease in mind is its quality and the manufacturing process. Each single wallet is 100% handmade from real leather and strong spring frame to ensure the best long-lasting strength as well as an eternal classic look from year to year. 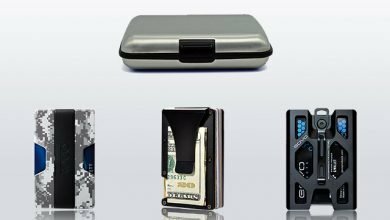 This one is more specialized as a coin purse than the Lethnic wallet above, which is more compact and convenient to keep your coins in place. 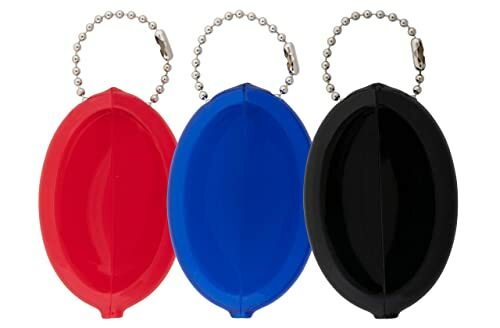 Its measurements are only 3.5” W x 3.50” H, fitting nicely your backpack, handbag, pocket with incredibly easy access when in need. Plus, if your preference is more about snap button rather than fumbling with zippers, this is the best bet as well. The hardware parts are nicely shiny, durable and sturdy to keep everything closure and secure no matter how many coins are tossed in or how much of the heft. From that point, thinking of this as a small but meaningful present for somebody is great. There are a lot of colorways to choose from. For those who love keeping everything in place, here is my suggestion. 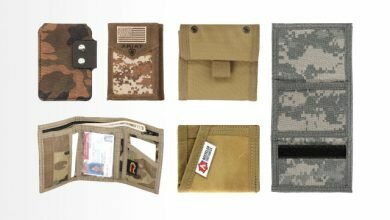 Though small (only 4.33” x 3.54″), you’ve got up to 4 pockets, 3 of which are zippered and its silhouette is big enough for almost cards. 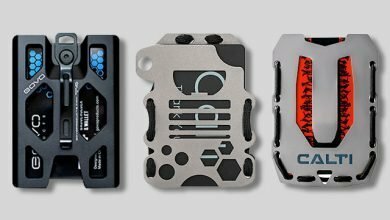 From that point, it’s super multifunctional that you can use as a card holder, a cash holder, a coin purse or a 3-in-1 wallet. The arrangement is yours. But obviously, coins should be kept in the zippered. 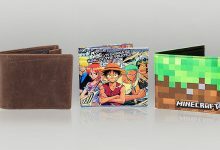 I only want to show you that with this, you can feel free to keep many kinds of currencies with huge load, such as 5-8 coins, 7-9 folded bills and 2-4 cards. The open pocket is perfect to put your regular stuff in for easy access. It’s snug enough to keep them in place without falling out, just don’t let them be exposed too much. 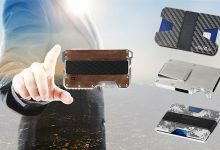 The best thing is even after fulfilled, the wallet still keeps its strikingly thin and small shape to stay neatly in the palm of your hands or a convenient key holder. Also, toss it in your front pocket can’t be easier. 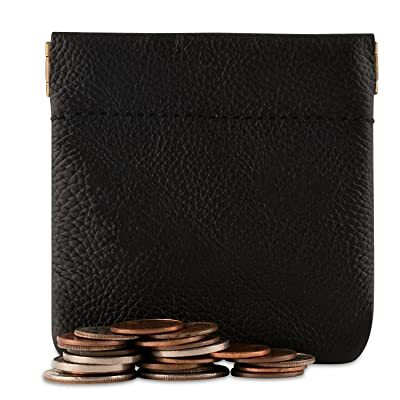 This wallet prices under 8 bucks and its material is 100% genuine cowhide split leather, not saying that there’s an additional pebble grain polyester inner lining. Plus, a lot of beautiful color options to choose from. Can’t be happier! The iSuperb canvas coin purse is the best bet to keep everything in place for quick access. With it, from now on, whatever you are looking for, just unzip the major compartment and pick it. the depth of this purse isn’t too much, which saves you from diving in for the things you want to. Though canvas is weak at water resistant, its ability to bear wears and tears are great. 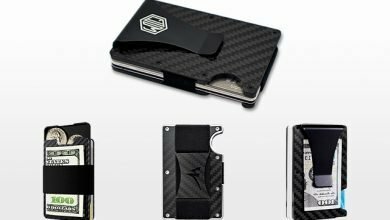 From my 8-month experience on this coin wallet, I can assure you about its durability. It’s because aside from the long-lasting canvas material, its zipper is also smooth and sturdy as well. I don’t get in trouble with its zipper during this time. And now, no signs of breakage yet. Sizing 4.3×3.5 inches, it’s a bit bigger than the genuine leather squeeze coin purse above, but turns out to be more comfortable to keep other things, such as keys and cash. On the other hand, such that dimensions aren’t considerably too bulky yet. That’s why it’s my top choice for shopping, and hanging out because in such occasions, my hands are very free. Not saying that, its canvas material decreases the total cost significantly. 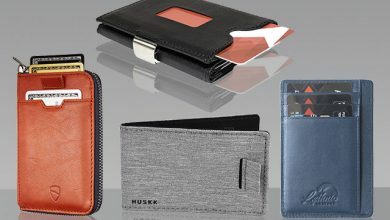 The best evidence is you only need to spend around $7 for a set of 4 this iSuperb wallets. Incredible! 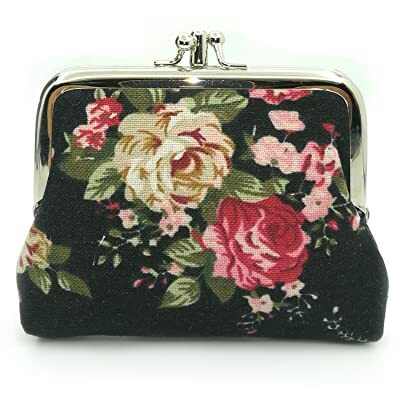 For girly ladies, this cute floral buckle coin purse is on top of the line for its beautiful, feminine look. It somehow reminds me of a wealthy, sweet lady in the 1990s. Like the iSuperb purse, this one from Sanxiner is made out of 100% the finest canvas with great wear resistance and decent durability. About the printing and coloring, it’s going to be faded off but just a little bit. If you machine wash it, this process might be faster. Only one thing you should keep in mind is the flower pattern might not be the same in every piece. There are also many colorways to choose from as well. Another big bonus is its sturdy kiss-lock closure – a perfect choice for those who prefer its sturdiness and superb durability rather than the zippers. Lastly, going inside, there are two separate compartments for you to basically arrange your essentials. My point is, it’s a perfect combination between a feminine outlook and a minimal but practical interior. If you’re an addicted cute, small thing disorder, I bet you will “Awn” when looking at this little coin purse. For a set of 3 rubbery units, it costs nearly 8 bucks – a bit expensive to me in the first place when compared to the canvas. Actually, I also doubted a bit at its durability because my previous rubber coin purses ended up with splitting apart or fading off color quickly. However, this isn’t the one. I use this one by one, and due to my experience, each can last nearly 1 year under harsh abusing. If you’re a careful girl, might it last even longer. So, after sticking with this lovely soft smooth purse, I feel it’s worth every penny that I spent on. Its enclosed chain is easy to unlock as well to connect to my keys, backpack and handbag. And one more benefit is its ability to keep several changes. You just need to roll the cash off and toss it into this purse, with coins and keys (if possible). there you go! Two other good news for you are: It’s made 100% in the USA and there’s a 30-day warranty for each one. Big thumb-up! 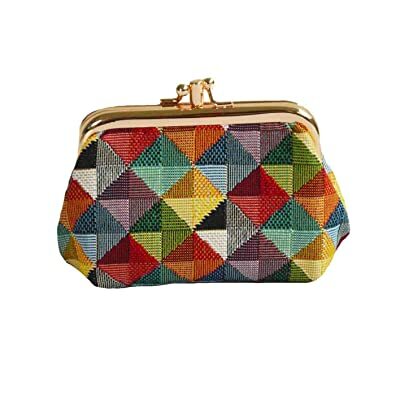 Found myself smitten for the colorful chart of this FurArt coin purse. And for the price, of a soft genuine cowhide leather wallet, it’s really affordable. Might it look small to the eyes, but in reality, its length is the same as an iPhone 8 (around 5.1*3.7*0.25 inches) to be more versatile than just a coin purse. You can put cash, cards, or a mix of them into this wallet, zip it up and ready for a go. With shallow depth, it’s even quicker access when keeping everything in one place. Also, very easy to manage. In terms of the zipper, just worry free about its quality because this is YKK’s – one of the most durable zippers in the world. And, it’s really smooth to pull without signs of breakage or getting stuck when in use. This part used to be the most concern of mine while considering this wallet, but now, it’s gone so far. If you’re new to this brand, its 30-day warranty will give you more confidence to try it. 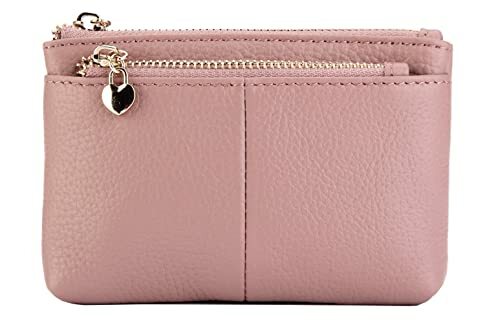 Bought this one for my younger sister to alter her old-fashion coin purse. She’s a pick addict and this has been her most favorite pick since then. It’s as big as her palm, with 3 zippered pockets, 1 card holder and 1 keychain. It’s streamline and spacious enough to keep nearly 5-6 cards, 7-10 folded bills and many coins. I don’t know how much she feel comfortable and convenient with this, but just usually saw her with this one whenever going out for a meal, shopping, traveling, partying and schooling. Sometimes, in her palm. Sometimes, in her front pocket. Quite amazed of how compact it is! Only one thing I myself can assure you is its durability because of its top-quality genuine leather. Even the hardware parts are unbeatable as well. They are beautifully shiny, sturdy and durable to serve you for years. Last but not least, this coin purse is 100% handcrafted. The coin purse collection come up with a lot of colorways and patterns, but this rainbow is my most favorite pick because it matches nicely to the gold-tone kiss-lock hardware. The material of these two parts are very high-quality as well. But beauty isn’t the only worth mentioning about this purse, its stitching and lining are also good. It’s also my first impression when handing on this wallet – a sturdy, firm and solid feeling touch. This one is much larger than other coin purses in this collection, so, it’s more comfortable to store things, from coins, cash to cards and keys. But never do I see a small hole or tears on its lining or the stitching. Very appreciate that! Plus, going inside, you will see two separate compartments. I myself usually keep my coins in one place and other kinds pf currencies in the another. But you can flexibly arrange yours due to preference. All in all, I highly recommend this for those who have higher demand of security and private protection. Last but not least in this collection is the one from Marshal. 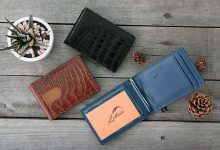 We have been too familiar to this brand since the hardcase wallet collections, but to talk about it as a leather coin purse, might this be the very first time. I do appreciate its creative opening/shutting way. You need to squeeze the purse when in need. Don’t worry, it’s pretty closure, and secure without your coins falling off accidentally. One thing that amazed me a lot is its height. I thought it would be as high as other coin purses, but turned out this one is very flat and slim. In fact, it fits nicely to my front pocket without a burden. 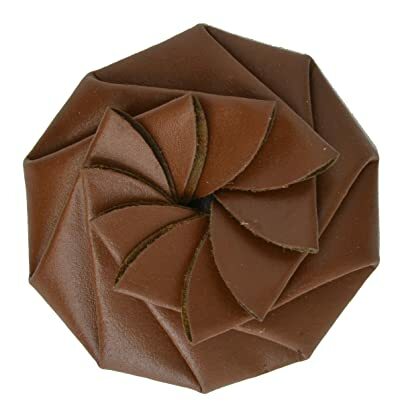 Similar in design to the Marshal coin purse, I also found the CTM model. Though it’s much cheaper and smaller than this one, I didn’t find it as good investment as the Marshal as the leather texture wasn’t as soft than. Plus, its capacity wasn’t big enough for my coins as well. So, overall, I vote this one! 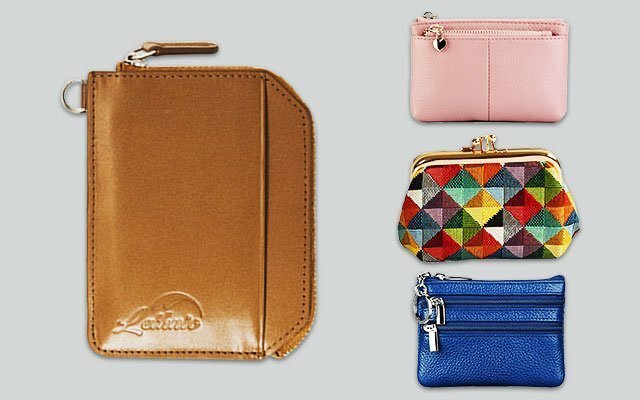 To pick out the most suitable coin purses for women, it’s best to clarify your preference, demand, and budget firstly. Only when you understand yourself, making a decision will be much easier. I hope that these 10 options meet your need. Thanks for reading!